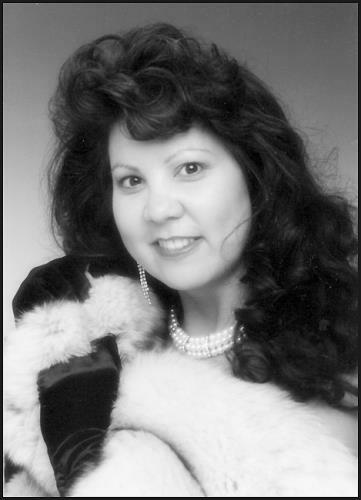 April 23, 1962-Jan. 13, 2018 Tammy Lynn Dehnhoff was born April 23, 1962 to parents, Cecil and Philomena Maahs, and went home to be with the Lord on January 13, 2018, surrounded by her loving family. Tammy met lots of people while working in the Dental field and was appreciated by many for her kind and caring personality. She dedicated many of her years serving the people in her community on the Tulalip Reservation. Tammy enjoyed her time teaching Sunday school, watching Hallmark movies, working in the yard and garden beds. She always looked forward to spending time with her family, making lasting memories. Tammy leaves behind her loving husband, Tim; her sons, Tyson and Connor; daughter, Tayna Greene (Michael); granddaughters, Apple and Fern; sisters, Brenda (Don) and Pam; father-in-law, Charles “Bud” and special family friend, Tiffany West. Tammy will be missed by many, and leaves behind with us her legacy of strength, compassion, forgiveness and uncon-ditional love. Funeral Services will be held Tuesday, January 23, 2018 at 10:00 a.m. at Schaefer-Shipman Funeral Home with inurnment to follow at Mission Beach Cemetery. This entry was posted in Obituaries and tagged Tammy Lynn Dehnhoff by Kim Kalliber. Bookmark the permalink.